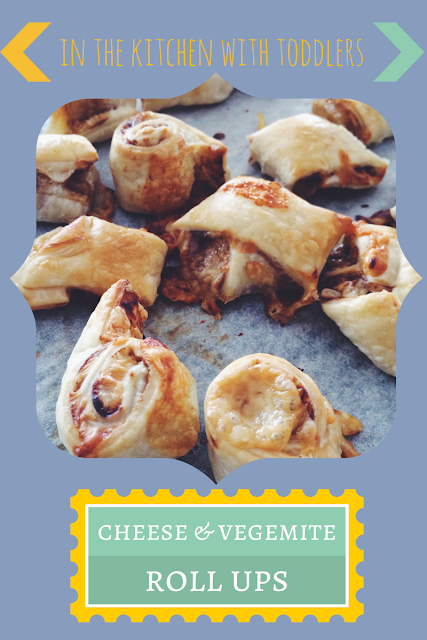 Really simple little cheese and Vegemite pastry roll ups. can you tell which ones I made? - stick them in a pre-heated over of about 180 degrees for about 15 mins or until pastry is golden brown. Like I said, so easy! They don't look that pretty, but they go down a treat! 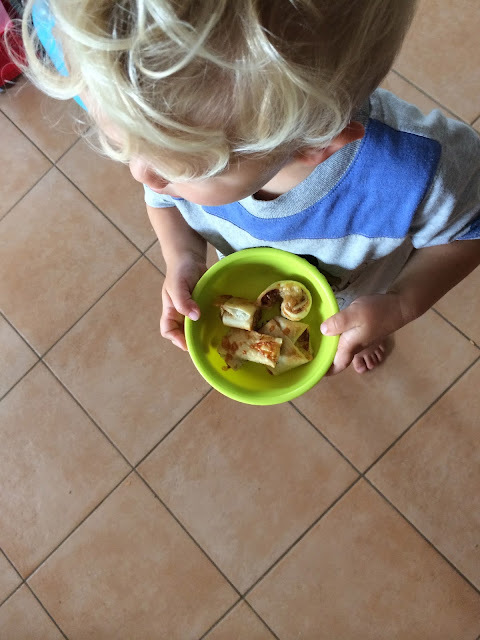 And what a fun little 20-30 minute activity to do with a toddler! 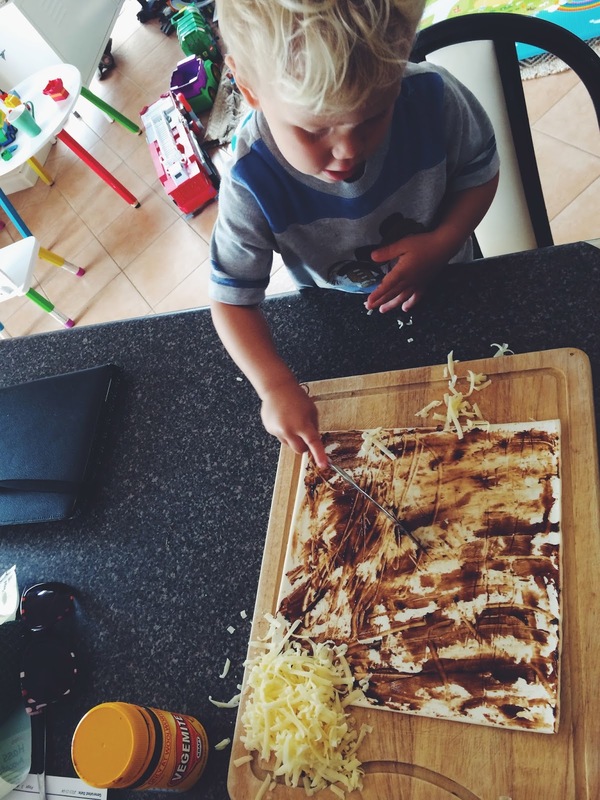 7 comments on "In the kitchen with toddlers: Cheese & Vegemite Roll Ups"
I can only too well imagine how having kids in the kitchen could turn out to be such a messy explosion of chaos! But you are teaching your son very valuable self help skills that will serve him well throughout life. 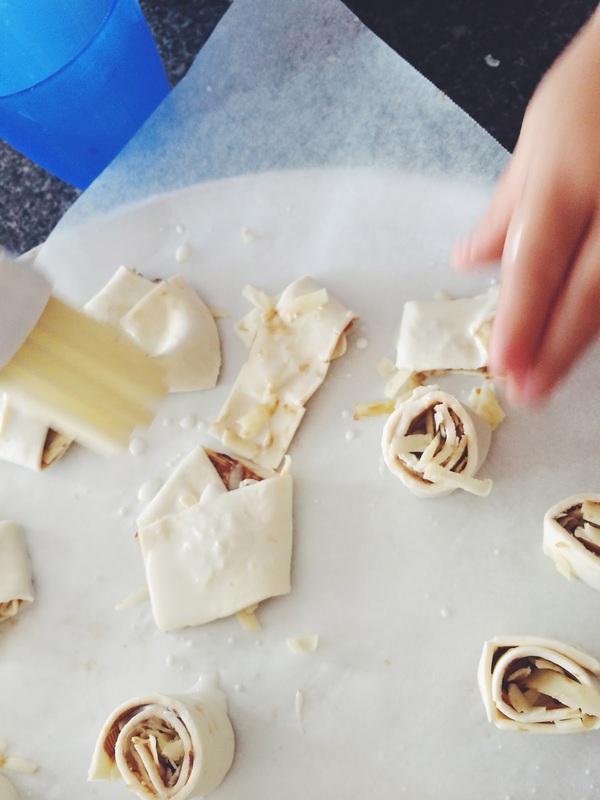 The only thing I knew how to make when I left home was toast! They look like a great idea! 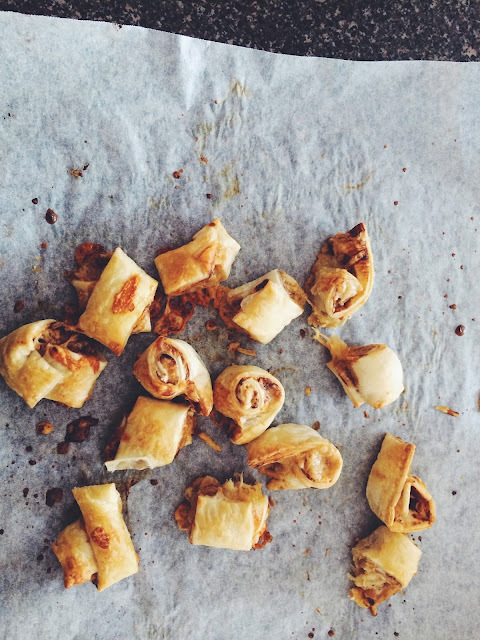 We'll have to try it (with substitutions). Great idea. You have provided me with our Monday morning activity. 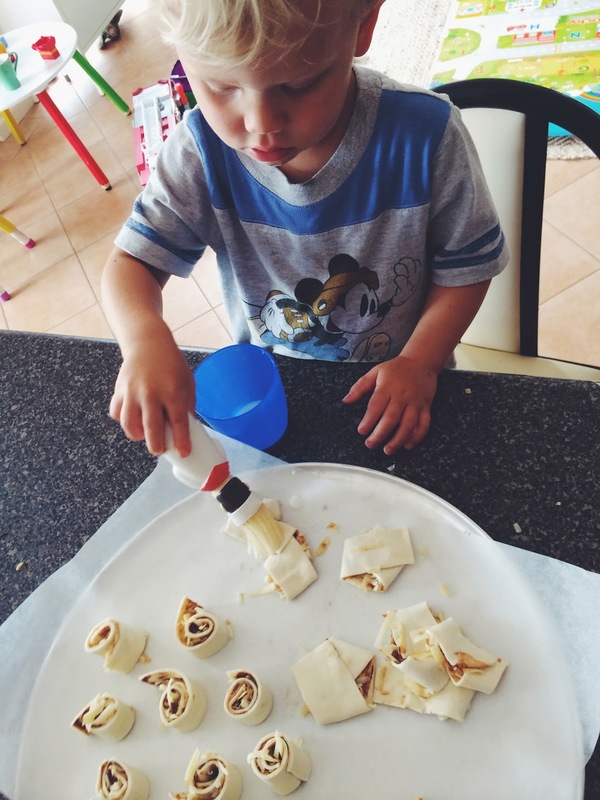 I love encouraging my little 3 year old to cook, he is very enthusiastic, however, it can hard work :) It's good when we do it for fun in the morning. Not so good on the week night rush!